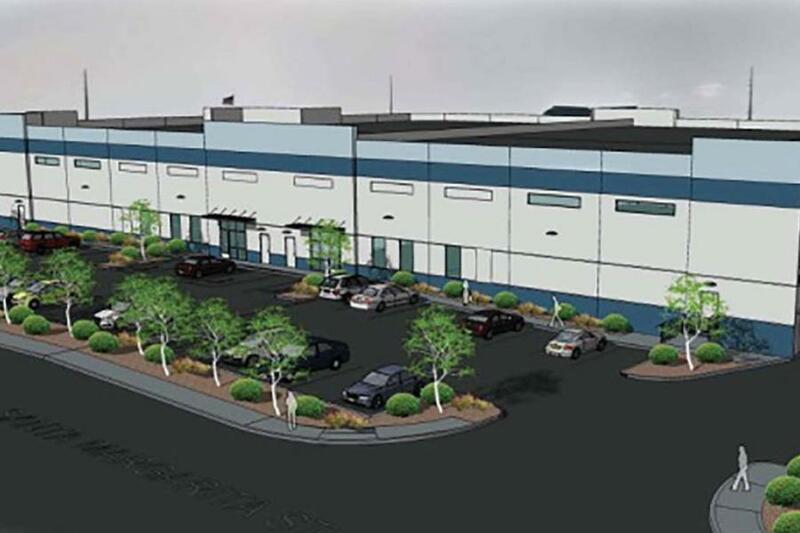 A new $8 million industrial project, SanTico, by Brass Cap Development is currently under way in the rapidly-growing Southwest Las Vegas area near the 215 Beltway and Rainbow. SanTico, located at 6425 Santa Margarita St. near the northeast corner of Sunset and Rainbow, offers approximately 40,000 sq. ft. of industrial mid-bay space divisible to two approximately 20,000 sq. ft. buildings on 2.5 acres. The buildings are adjacent to the newly constructed headquarters of the Greater Las Vegas Association of Realtors. "SanTico is an industrial building located in the heart of the Southwest with retail exposure," said Mike Chernine, partner at Brass Cap Development. "The property is also in close proximity to Freeman, UFC and Pepsi distribution centers." In 2017, Brass Cap developed an 80,000-sq.-ft. two-building project nearby at the southeast corner of Sunset Road and Torrey Pines Drive with Laird Plastics, StylGame and UFC as tenants. SanTico is being built by LM Construction Company and is expected to be completed by fall 2019. Realcomm Advisors Brokers, Michael DeLew, SIOR, and Greg Pancirov, SIOR, have been brought on to handle the sale of the project. Delew & Pancirov also represented Brass Cap Development on the nearby Sunset and Torrey Pines project. Chernine adds, "There is an unmet demand for small industrial buildings for sale in the Southwest; this project will look to satiate a small part of the supply."